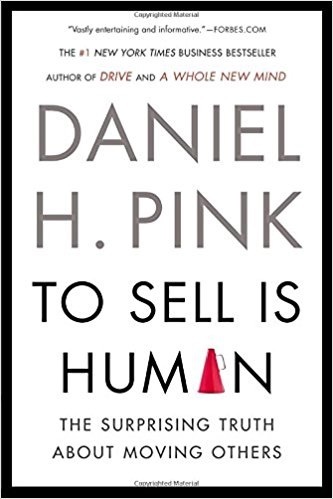 To Sell Is Human: The Surprising Truth About Moving Others by Daniel Pink is a fresh look at the art and science of selling, which is something we all do. If you want to better understand others’ perspectives, make your message clearer and more persuasive. Click below to purchase this book. It is purposeful and practical and may change how you see the world as it transforms what you do at work, at school, and at home. Over the years, people in sales have often been seen as intellectual lightweights and dodgy characters. Even though 9% of us work in direct sales, some view it as the white-collar equivalent of cleaning toilets. The truth is, however, we are all involved in sales. We are all constantly trying to persuade, convince, and influence others. Studies show that collectively we are devoting 40% of our time on the job trying to move others. Even people in education and medical fields (Ed-Med), which are part of the fastest growing industries, engage in sales-like activities every day. As a result, non-sales selling is far more prevalent than selling in a traditional sense. People also consider this one of the most critical components in their professional success. Entrepreneurs understand that segmenting job functions doesn’t always work. As small businesses proliferate, more people must have an elastic skill set, which includes a sales component. The U.S. even has more than twenty-one million people who are self-employed and therefore, have to sell themselves, and this number is growing. The Internet has knocked down barriers to entry by small operations. For example, the number of Etsy online shops is approaching one million. Kickstarter has helped people raise over $200 million to get projects off the ground, and smartphones can accept credit cards anywhere. Even bigger businesses are getting flattered with fewer people doing more varied things. Jobs in education and medical care have increased from about 15% to 20% in the last twelve years. In the same time manufacturing jobs have gone from 17% to 12%. Ed-Med jobs are both intent on moving people as in changing what they know, think, and do. Teachers must convince students to part with time, attention, and effort as they sell a lesson. The same happens in health care as practitioners promote healthier behaviors. In any case, you have a better chance of moving someone if the proposed movement is in line with their personal goals. Letting kids choose what to write about and telling patients that you need to tap their expertise regarding their own bodies are examples of ways to move people. Thanks to the abundance of information available on the Internet, today’s buyer has virtually as much information as today’s seller. As a result, sellers are no longer likely to live up to the outdated stereotype that includes terms like pushy, slick, and sleazy. In a world of information parity, the seller (vendor) is more likely to be one who has to beware (caveat). In many cases, the buyer knows more than the seller about a product and pricing. The same thing happens in education and medicine where students and patients can do research and know things that teachers and physicians do not. In the past, smart people were less likely to go into sales. Today, intelligence and creativity are essential. 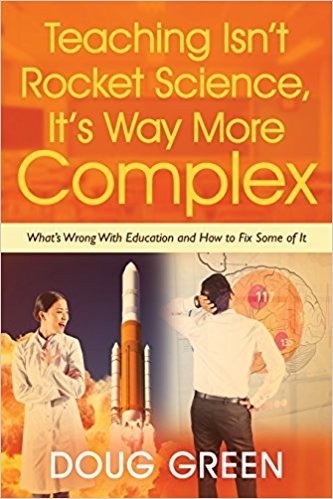 This entry was posted on Sunday, January 6th, 2013 at 9:20 am	and is filed under Book Summaries, Business Books, Education Books, Leadership Books. You can follow any responses to this entry through the RSS 2.0 feed. You can leave a response, or trackback from your own site. I like your book reviews and already read quite some of them. This is the most interesting book for me so far. Because everyone is selling something. Even if it’s just an idea or the own opinion. The most interesting points for me were: “… today’s sellers need to engage in problem finding as opposed to problem solving. If you know your problem, you can probably solve it. If you don’t know your problem, you need someone to help find it.” This is huge. And this note i made is really nice if you’re not sure about what to do: “make the buyer look good”. You can never go wrong with that. Steffen: Thanks for the thoughtful comment. I’m glad you like my work and be sure to click through to buy the book. Also please share with your network.